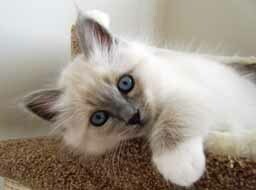 The Birman Cat Club holds the following list of kittens looking for homes. Please contact the Breeder indicated for more details should you be interested in one of these kittens. Breeders wishing to register kittens on this list should download this form. To remove kittens, breeders should please email nickifenwickraven@gmail.com. There are no kittens available at the present time but do please check back for updates. Members of the Birman Cat Club are permitted to advertise their litters on this list upon payment of a fee which is paid to the Birman Cat Club Welfare and Rescue charity. It should be noted that The Birman Cat Club has not assessed, inspected or checked the breeders, their premises or the kittens on this list. 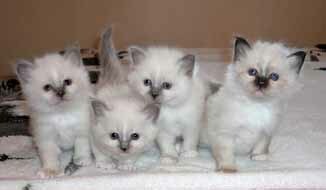 The Birman Cat Club will not take any responsibility for the general health of the kittens. The purchaser is strongly advised to carefully check any kittens that they are proposing to purchase and to read the Governing Council of the Cat Fancy Code of Ethics for Breeders and Owners. 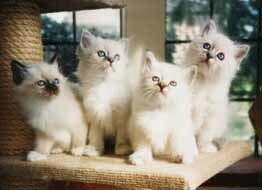 Kittens can be registered by a breeder under different registration organisations. If you are buying a kitten you intend to show or breed from under either the GCCF, TICA or FiFE rules, please ensure that the breeder is registering the kitten with the most appropriate authority for you. If not you may have to re-register the kitten yourself after purchase. This may be both time consuming and costly. Prospective kitten owners wishing to purchase pedigree kittens are reminded that they should not purchase kittens from or go to stud with any breeder currently suspended by the GCCF. Any kittens purchased from, or resulting from such a mating, will not be registered by the GCCF. Please refer to the GCCF Suspension List for a list of breeders currently suspended.